Stream the Reissue of Arcade Fire's "The Suburbs"
Grammy award winning alternative group Arcade Fire will be reissuing their critically acclaimed album, The Suburbs, on August 2, marking the one year anniversary of it&apos;s release. The LP—which won Album of the Year at last year&apos;s Grammy Awards—will be rereleased through Merge and will include two new tracks, a short film directed by Spike Jonze, and other goodies. The deluxe edition of The Suburbs is now up for streaming at The Daily Beast. 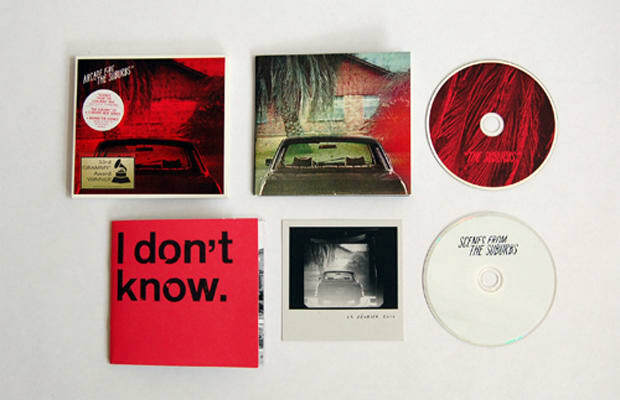 For more information on the reissue of The Suburbs, visit Arcade Fire&apos;s official website.